It’s workout time! This is a full body workout that you should feel everywhere. This workout incorporates cardio bursts throughout (I did jump rope, but you can substitute high knees or another cardio of choice), to increase the fat burn and intensity of the workout. 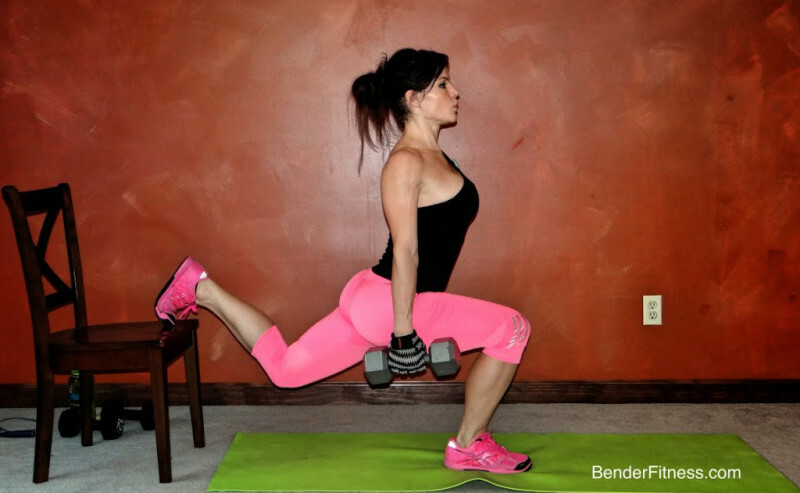 I also incorporated some weighted moves to increase the challenge & maximize your results from this workout. If you don’t have weights, you can grab something from around the house to add resistance to your movements, or do the exercises with body weight only. If you go with body weight, focus on getting in as many reps as possible, with great form. I planned on filming a new workout yesterday evening, but I was exhausted by the time night rolled around. Jesse and I did a 5-mile run together in the AM, so I decided to listen to my body and rest at night. I have some new workouts written up to share with you all, so filming some new stuff will be on my agenda this week. Looking forward to working out with you! Have fun! Do you do a warm up before this workout ? Hi Sally, It’s always a good idea to do a warm-up before any workout. 🙂 It will actually help you work at a higher intensity level & get more benefits during the workout, as well as reducing your chance of injury. Just did this with 5kg dumbells. Followed with 9min dynamic stretch. Great workout! Thank you. Love this one! Full body with weights, get it all done! I have been following your site for about 2 weeks now. Absolutely love it, well done!